Buy now with free shipping to non restricted areas. Please click link below to purchase. ***We will add $12 for UPS shipping for up to 15 boxes. 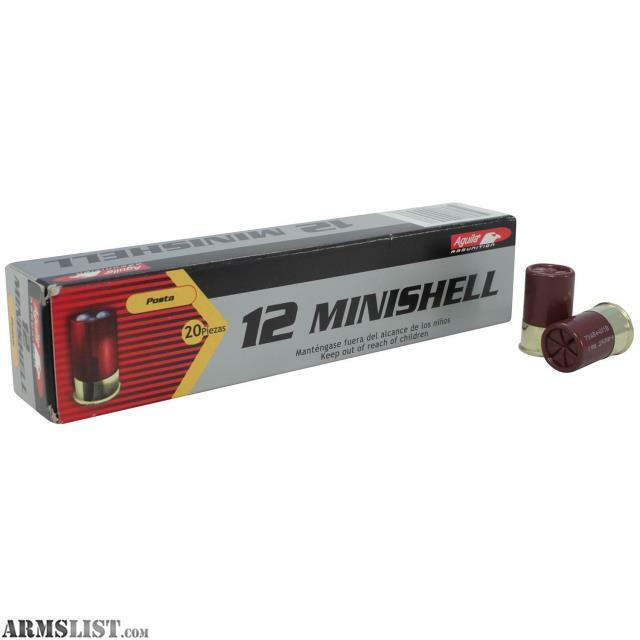 Aguila Minishell shotshells are only 1-3/4″ long, and greatly increase the capacity of pump-action shotguns. They work great in Winchester 1300 shotguns, though other pump guns may not cycle reliably without modification. Perfect for use as low-recoil ammunition for single-shot or double guns as well. This particular load features a combination of #4 and #1 shot. ***See our about page regarding restricted areas.